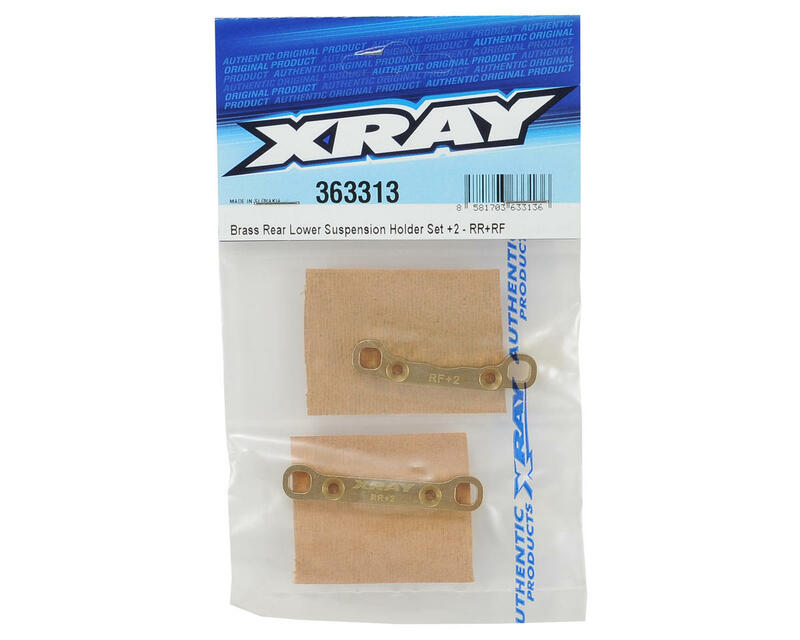 This is an optional XRAY +2mm Brass Rear Lower Suspension Holder Set. This set include a rear-front and a rear-rear block. 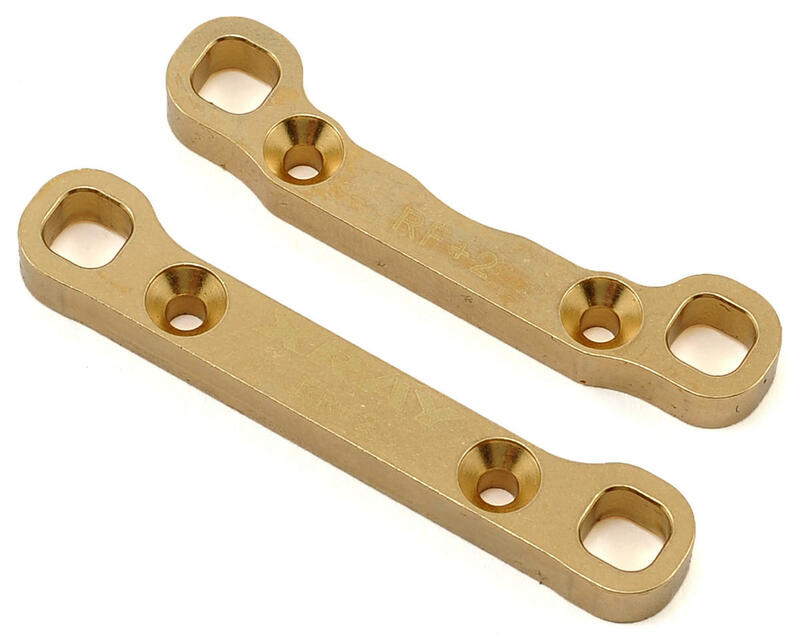 These optional brass lower suspension holders for XB4 cars provide additional weight down low to improve traction and stability while lowering the car’s CG. These suspension holders feature Integrated Suspension Settings (I.S.S.) which allows for quick & easy suspension geometry setting. This XRAY concept was first introduced in the original XB8 and now has been carried over to the 1/10 scale XB4. The holders are +2mm and fit both XB4 & XB4 2WD. XB4 suspension geometry can be completely adjusted using eccentric suspension bushings inserted into suspension blocks, as well as using additional suspension shims. In the XB4 2WD, the suspension holder is used without the rear lower composite chassis plate and is mounted directly to the aluminum chassis. Mounted on the rear lower composite chassis plate which increases roll center by +2mm. This improves the rotation of the car in corners. Without the rear lower composite chassis plate, mounted directly on the aluminum chassis. This is recommended for low-traction tracks.